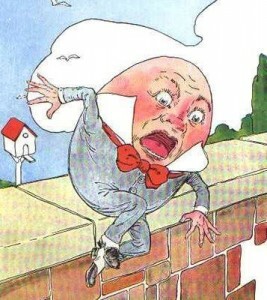 – Did you ever wonder what happened to Humpty after he fell off the wall? I did. One more of the Mother Goose songs.